Шейпер трафика на CentOS 7 — лимитируем скорость канала! What is an engineering sample (ES) processor? Engineering sample (ES) processors are also known as qualification sample processors. They are pre-production processors Intel loans to original equipment manufacturers (OEMs), original device manufacturers (ODMs), and independent software vendors (ISVs) to be used in the product design cycle before product launch. Produced by Intel are the sole property of Intel. Produced by Intel are Intel Confidential. Are provided by Intel under nondisclosure and/or special loan agreement terms with restrictions on the recipient's handling and use. Are not for sale or resale. May not have passed commercial regulatory requirements. Are not covered under Intel warranty and are generally not supported by Intel. 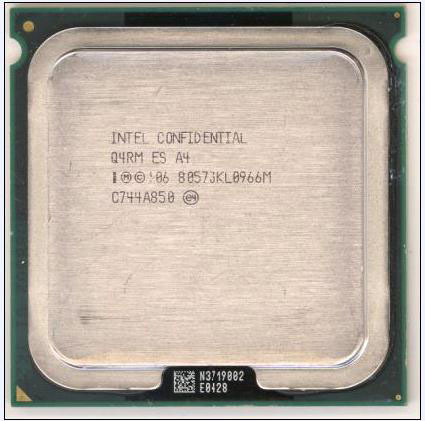 How do I identify ES processors produced by Intel?The easiest way to tell if you have an ES processor produced by Intel is to look at the processor topside markings. If you have a four or five-digit Qspec listed like the one pictured below, you have an engineering sample. A production processor has a five digit sSpec on the topside markings. It usually begins with S, like SLB9L. If you don't find ink or laser markings, the processor may be an unmarked ES processor. Contact Intel if you have an unmarked ES processor. You can also use the Intel® Processor Identification Utility to help identify if a particular processor is an ES processor produced by Intel. The following Intel® Processor appears to be an engineering sample, not a production processor. The utility is designed to support production processors only. Sample processors are not warranted by Intel and are not intended for resale. 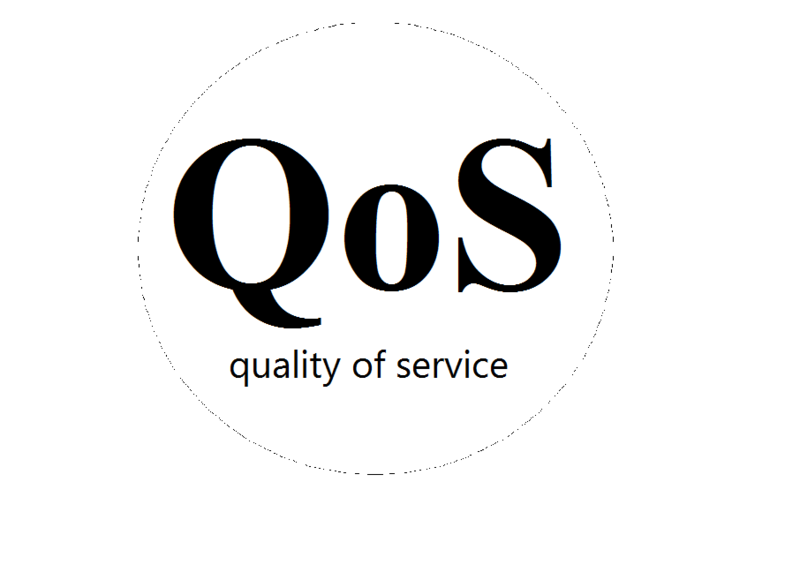 Can I get ES processors from Intel?Due to the pre-production nature of ES processors, they are generally only loaned to OEMs, ODMs, and ISVs for pre-production test and evaluation work under specific contractual terms and conditions to assure the protection of assets and confidential information. ES processors are not made available to the general public by Intel. Contact your vendor or place of purchase if you have received an ES processor in place of a production processor. Do you replace engineering samples?No, engineering samples are pre-production units, issued free of charge and are not eligible for warranty. The used postfix version is 2.9.6, the used dovecot version is 2.1.7. Before doing anything you should change the hostname of your server, set a MX record and set the rDNS record. The procedure for this varies depending on your domain and server provider but if you can not do either you will not be able to send and/or receive mails. The following guide assumes you have set your hostname, mx and rDNS record to “mx.example.com”. apt-get install postfix dovecot-core dovecot-pop3d dovecot-imapdSelect “Internet Site” during the installation process of postfix. you@example.com example.com/you/You do not have to enter anything here though, the add user script towards the end of this post will do all the work. To only create an empty file use “touch” instead of “nano”. This defines the mailbox you@example.com and where your mails will be stored (/var/mail/vhosts/example.com/you/). @example.com you@example.comThe above example redirects all mails sent to example.com to you@example.com. mkdir /etc/dovecot/ssl cd /etc/dovecot/ssl openssl req -new -newkey rsa:3072 -nodes -keyout mailserver.key -days 9999 -x509 -out mailserver.crtNote that the “Common Name” has to be the domain of your mail server (mx.yourdomain.com). All lines that you need to change have the string “CHANGETHIS” in them. You will receive a warning message for the first time you connect to each, SMTP, IMAP and POP3, because you are using a self-signed certificate. Several routers and embedded devices with OpenWRT-support are equipped with one or more USB ports. In order not to risk your warranty by opening your device and soldering an I²C bus to the GPIOs, you can use an USB-I²C adapter to connect to your I²C-devices (e.g. temperature sensors, RTCs, AD-converters, GPIO-expanders, LCD-Drivers). One of those adapters is called https://wiki.openwrt.org/lib/tpl/openwrt/../../images/external-link.png");">i2c-tiny-usb, developed by Till Harbaum. Biggest advantage is the low price (though not as cheap as the GPIO mod) and the support in the Linux kernel (thus making it possible to connect it to your computer running a recent Linux distribution and test it). Though you need some basic soldering skills, and at the moment you need to build OpenWRT from source. Note: This module is now in trunk, called kmod-i2c-tiny-usb. You can use a https://wiki.openwrt.org/lib/tpl/openwrt/../../images/external-link.png");">snapshot and install this kernel module with opkg. Continue with the build instructions. dmesg | tail usb 1-3.3: new low speed USB device using ehci_hcd and address 5 usb 1-3.3: New USB device found, idVendor=0403, idProduct=c631 usb 1-3.3: New USB device strings: Mfr=1, Product=2, SerialNumber=0 usb 1-3.3: Product: i2c-tiny-usb usb 1-3.3: Manufacturer: Till Harbaum usb 1-3.3: configuration #1 chosen from 1 choice i2c-tiny-usb 1-3.3:1.0: version 1.05 found at bus 001 address 005 i2c-adapter i2c-0: connected i2c-tiny-usb device usbcore: registered new interface driver i2c-tiny-usbThe same results are achieved by loading the kernel module by insmod. The current trunk module within kmod-i2c-tiny-usb package works just fine (requiring also kmod-i2c-core package). First install the i2c-tools package. This will provide all necessary tools for you to work with the bus. As you can see, I have an i2c device accessible on address 0x20 on the bus number 0. The result will be something like 0x00 (corresponding to the logical values presented to the actual pins). Using this approach, you can enrich the OpenWRT device with multiple I/O channels. I've already tested MCP23017, MCP23008, some i2c temperature sensors and EEPROM - all working just fine. This I²C bus operates at 5V. Make sure not to connect I²C devices incompatible with this voltage level! розписувати шось немає бажання ..
спробую залишити основні теми і методики ..
на кожному диску є по два розділа ..
масив у нас тепер получається знову з одним диском в якому є незайняте місце ..
теоретично все ... наш масив став більшим ..
додаємо диск до масиву ..
встановлюємо груб на новосинхронізований диск ..
mdadm: No md superblock detected on /dev/md127. Running "embed /boot/grub/e2fs_stage1_5 (hd8)"... 27 sectors are embedded. Performing an on-line resize of /dev/md127 to 58607341 (4k) blocks. The filesystem on /dev/md127 is now 58607341 blocks long. Цей диск наразі використовується - зміна розділів, можливо, погана ідея. Демонтуйте всі файлові системи, та відключіть всі розділи підкачки на цьому диску. Використовуйте параметр --no-reread щоб обминути цю перевірку. Використовуйте параметр --force, щоб відхилити всі перевірки. sfdisk: Ці розділи виглядають неправильно - нічого не змінено. Running "embed /boot/grub/e2fs_stage1_5 (hd2)"... 27 sectors are embedded. This article describes how you can shrink and grow existing software RAID partitions. I have tested this with non-LVM RAID1 partitions that use ext3 as the file system. I will describe this procedure for an intact RAID array and also a degraded RAID array. If you use LVM on your RAID partitions, the procedure will be different, so do not use this tutorial in this case! So this was the worst case that could happen - /dev/sda dead and /dev/sdb about to die. To fix this, I imagined I could shrink /dev/md2 so that it leaves out the broken sectors at the end of /dev/sdb3, then add the new /dev/sda3 (from the replaced hard drive) to /dev/md2, let the sync finish, remove /dev/sdb3 from the array and replace /dev/sdb with a new hard drive, add the new /dev/sdb3 to /dev/md2, and grow /dev/md2 again. This is one of the use cases for the following procedures (I will describe the process for an intact array and a degraded array). Please note that /dev/md2 is my system partition (mount point /), so I had to use a rescue system (e.g. Knoppix Live-CD) to resize the array. If the array you want to resize is not your system partition, you probably don't need to boot into a rescue system; but in either case, make sure that the array is unmounted! I will describe how to resize the array /dev/md2, made up of /dev/sda3 and /dev/sdb3. to check the file system. That's it - you can now boot into the normal system again. --size=max means the largest possible value. You can as well specify a size in KiBytes (see previous chapter). Afterwards you can boot back into your normal system. and you should see that /dev/sdb3 and /dev/sda3 are now being synced. Please install latest version of Java 1.8 or set JAVA_HOME properly. npm update -g in order to update globally installed packages. Running "embed /boot/grub/e2fs_stage1_5 (hd1)"... 27 sectors are embedded. ми встановили груб на два диска. це вже пів роботи зроблено!! але!!!!! бо вибило “Failed to initialize PAL. в результаті в біосі є пункт який відкриває "efi"
в результаті процедура прошивки і начкбто не складна але зібрати все в купу трохи заберає часу. Последовательность символов данного элемента сравнения. Эта последовательность представляет собой единственный элемент из списка в выражении в скобках. Выражение в скобках, содержащее многосимвольный сравнивающий элемент, может, следовательно, искать соответствие более, чем одного, например, если последовательность сравнения включает в себя элемент сравнения ch, то регулярное выражение [[.ch. ]]*cустанавливает соответствие с первыми пятью символами выражения chchcc. got 5000MB (5242880000 bytes), trying mlock ...locked.